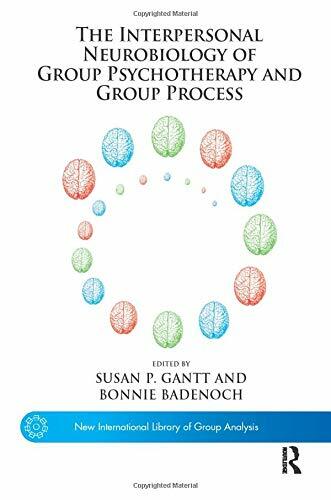 [PDF] The Interpersonal Neurobiology of Group Psychotherapy and Group Process (The New International Library of Group Analysis) | Free eBooks Download - EBOOKEE! Description: Might it be possible that neuroscience, in particular interpersonal neurobiology, can illuminate the unique ways that group processes collaborate with and enhance the brains natural developmental and repairing processes? This book brings together the work of twelve contemporary group therapists and practitioners who are exploring this possibility through applying the principles of interpersonal neurobiology (IPNB) to a variety of approaches to group therapy and experiential learning groups. IPNBs focus on how human beings shape one anothers brains throughout the life span makes it a natural fit for those of us who are involved in bringing people together so that, through their interactions, they may better understand and transform their own deeper mind and relational patterns. Group is a unique context that can trigger, amplify, contain, and provide resonance for a broad range of human experiences, creating robust conditions for changing the brain. The chapters included here introduce and highlight the theoretical and research literatures from an IPNB perspective, especially the newer understandings of brain plasticity, mirror neurons, the autonomic nervous system, implicit and explicit memory, affect regulation and the relation between attachment and brain development. Building on these understandings, the authors elaborate on work with varying types of groups as seen through an IPNB lens, for example how systems-centered therapy creates a rich neurobiological climate that supports integration how childrens groups can help with sensory motor, psychological, and interpersonal development how using an IPNB frame enables couples groups to attain more solid interpersonal regulation and how experiential learning groups can transform implicit memory. No comments for "[PDF] The Interpersonal Neurobiology of Group Psychotherapy and Group Process (The New International Library of Group Analysis)".